When you visit our website, cookies are placed on your computer’s hard drive in order to improve our website and to better tailor the website to your needs. We may also use other technologies such as pixel tags, browser analysis tools, server logs and web beacons for similar purposes as described in this policy and we may include them on our website or our newsletters, to determine whether messages have been opened and links have been clicked on. The information provided below about cookies also applies to these other technologies. 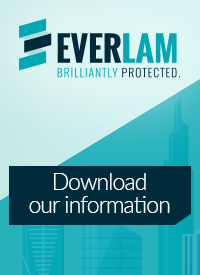 Below you will find a summary of the cookies that EVERLAM uses on its website in its newsletters based on the purpose for which they are collected. Necessary cookies allow our website to function optimally and securely. These cookies are necessary for good communication and are intended to make it easier for you to surf on our website. Used by the video service, Wistia, for tracking the use of embedded services.